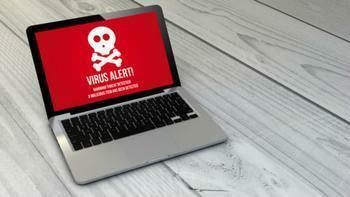 Just how effective is antivirus software? That advice, however, appears to be in the review process as several tech sources have started to question the software's effectiveness. The latest concern comes from the Department of Homeland Security's Computer Emergency Readiness Team (CERT), which singled out the popular antivirus software packages from Symantec, most commonly marketed under the Norton brand. Last month, Google's Project Zero also sounded the alarm over Symantec products. It published details of what it called “multiple critical vulnerabilities” in the company's endpoint protection products that include ways for a hacker to remotely execute code changes. In statements to various media, Symantec has said that it addressed the issues raised by Project Zero in subsequent updates. It cited a Lastline Labs study the previous year on the effectiveness of antivirus scanners, noting that much of the newly introduced malware slipped by nearly half of the antivirus vendors. The study said that two months in, one third of the antivirus scanners still failed to find many of the malware samples. In fact, the malware that experts conceded is the least likely to be detected proved the points, with a majority of the antivirus scanners failing to find it. Some eventually found it, but it took a while. So at $30 to $50 a year, is antivirus-software a waste of money? Wired posed that question as early as 2012, when it discovered that many of the world's top IT security experts personally do not use an antivirus product. At the time, Wired concluded the software is probably not a waste of money, especially for businesses that employ multiple users who might do stupid things. But the report noted that malware creators test their products against the latest antivirus-software, so the most effective defense for most consumers is to be cautious about the websites they visit and to not open questionable attachments. Why would Mark Zuckerberg tape over his web camera?